For anything to do with new water bores or bore and retic repair and service in Wanneroo or surrounding areas your local experts to call are Virgin Bores. The relatively large block size and the relatively shallow depth to water are two of the reasons bores are so common in many of the older parts of Wanneroo, particularly in the lower lying areas to the west of Wanneroo road. The Wanneroo water bore is normally of two types. The old well-style commonly put down until the late 1980’s and the modern submersible bore used currently. 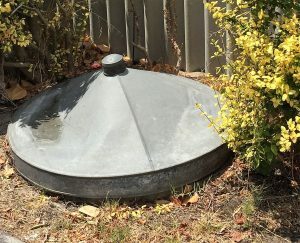 The old well style is often still seen in front and back yards with the conical tin “witches hat” well lid and a centrfigual pump at the bottom of concrete well liners. These older style are particularly prevalent near Lake Joondalup, the lower- lying parts of the suburb and the old market gardening areas. On the other hand modern Wanneroo water bores could not be more different. They are invisible, as the submersible bore pump operates quietly deep beneath the ground with nothing visible at the surface. Submersible bore pumps are a stainless steel cylinder shaped like a torpedo designed to be suspended at the bottom of a 100mm diameter PVC bore casing. Modern submersible bores are particularly prevalent in the newer parts of Sinagra, Tapping, Carramar, Landsdale and Gnangara. In the case of Wanneroo bores the ground conditions are such that typically the bottom 6 metres of bore casing is finely slotted to allow the water in. The annulus around this slotted casing is gravel-packed with finely graded river sands to act as a filter. 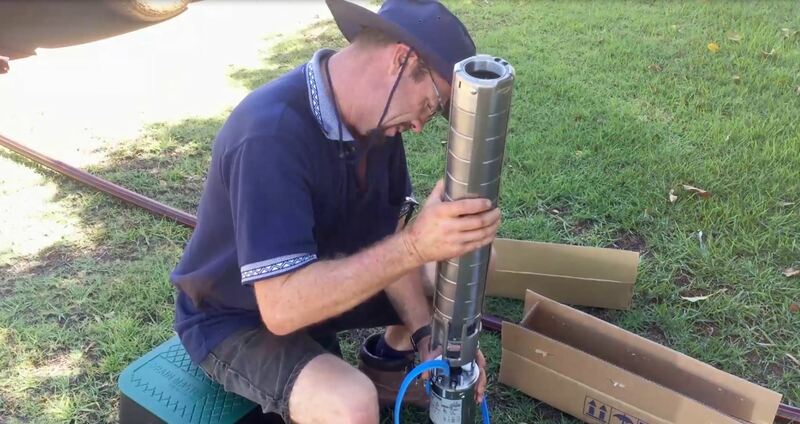 The construction style and drilling methods of modern submersible water bores now means that installing a bore in the elevated parts of areas such as Sinagra, Hocking, Ashby, Carramar and Tapping are no longer an issue. Although the water table in elevated areas is deeper, modern water bore drilling and submersible pumps make it a relatively simple job to access the readily available groundwater. Powerful drilling rig drills water bores up to 70 metres. Installing a garden bore to tap Perth’s superficial aquifer makes good sense. As well as saving money in mains water consumption costs bore owners also help conserve Perth’s limited potable water supply. Wanneroo water bores provide an abundant supply of nutrient rich groundwater to maintain gardens whilst at the same time helping conserve our scheme water supplies and avoiding costly water consumption charges. 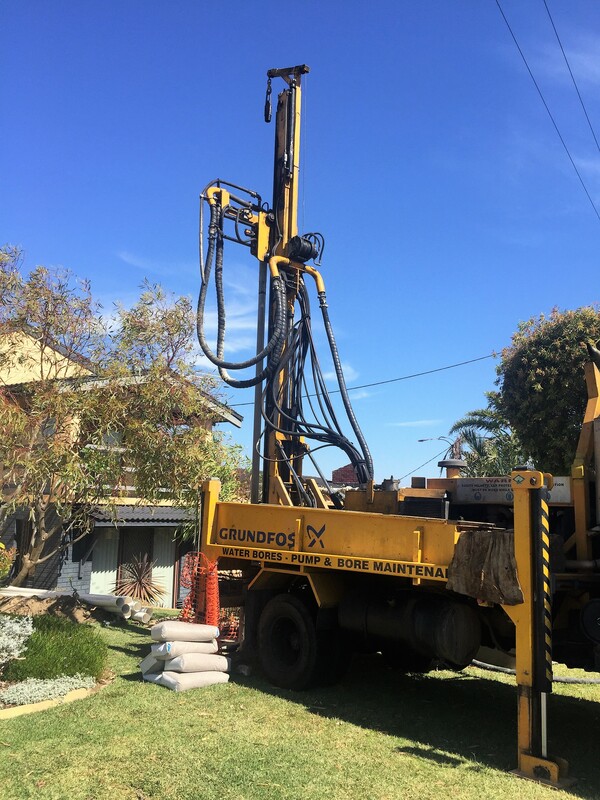 Depth to bore water Wanneroo and surrounds varies from 2 metres to over 60 metres in the very high parts of Sinagra. New bores consequently vary from 15 to over 70 metres in total depth as we drill approximately 10 to 12 metres into water. The Perth Groundwater Atlas enables us to give a fairly accurate indication, generally plus or minus 2 metres, of the depth to water in most Perth properties. The database also gives a general indication as to anticipated bore water quality. This allows us to provide a written water bore quotation in advance of any work. 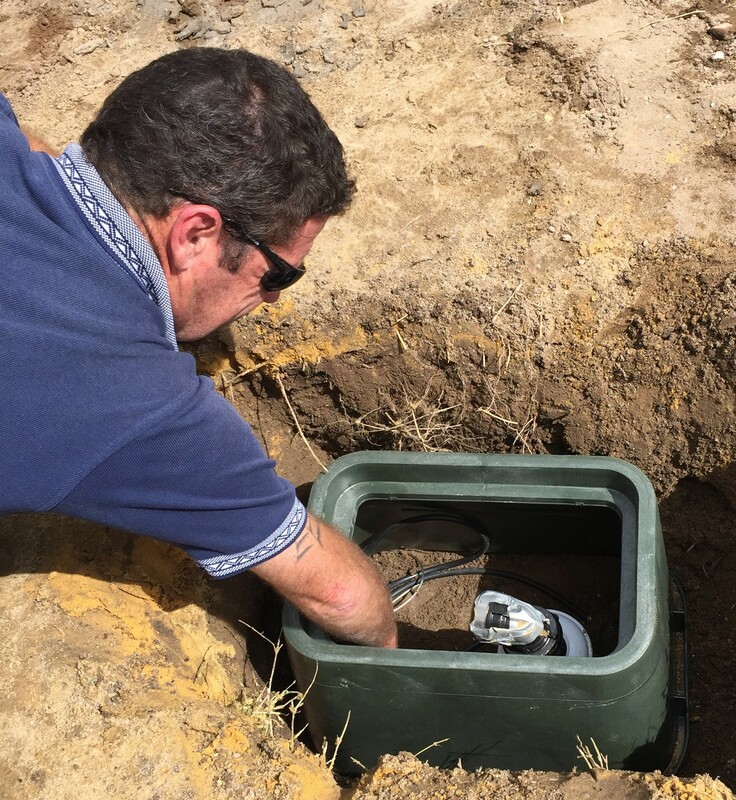 Please call us on 9246 0111 to enquire as to the depth to water at your property and the cost of a water bore or enquire online here. We will assess your needs and design a bore specifically to suit your irrigation/reticulation requirements and the available groundwater. Our local experience, bulk buying assure you of the best value and most competitive price on your new Wanneroo water bore. We service and repair existing Wanneroo Water Bores and surrounds. Modern submersible water bores and stainless steel submersible pumps are essentially maintenance free. If pump service or repair is ever required for these modern submersible style bores it is essential though that a specialist like Virgin Bores who have the experience, knowledge and special equipment are called. Our bore electrician will attend promptly. The older style well bores, on the other hand, often require service and repairs, particularly as many Wanneroo water bores are in excess of 30 years old. Virgin Water Bores Wanneroo service team have vast experience working on these old wells and pumps . Wanneroo, Carramar,Tapping, Sinagra, Gnangara, Wangara and Landsdale are amongst the local suburbs we service daily. Bore not holding prime? Pump running but no water? Check valve not holding prime? Pump motor fused – insurance fusion work is our specialty. If your bore is broken we can fix it if it is fixable! Please call 9246 0111 or book a bore repair or service online here and we will give you a call.